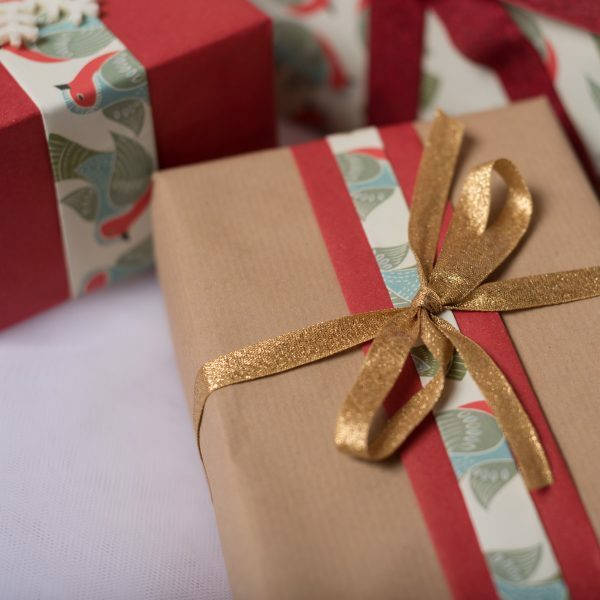 Gift giving is a complex ritual, and you can hear Gemma sharing her advice on this recent BBC programme. Last year we were thrilled to be inundated with requests from both commercial and private clients to professionally wrap their presents. These ranged in scope from wrapping and posting over 500 corporate gifts to filling children’s stockings. 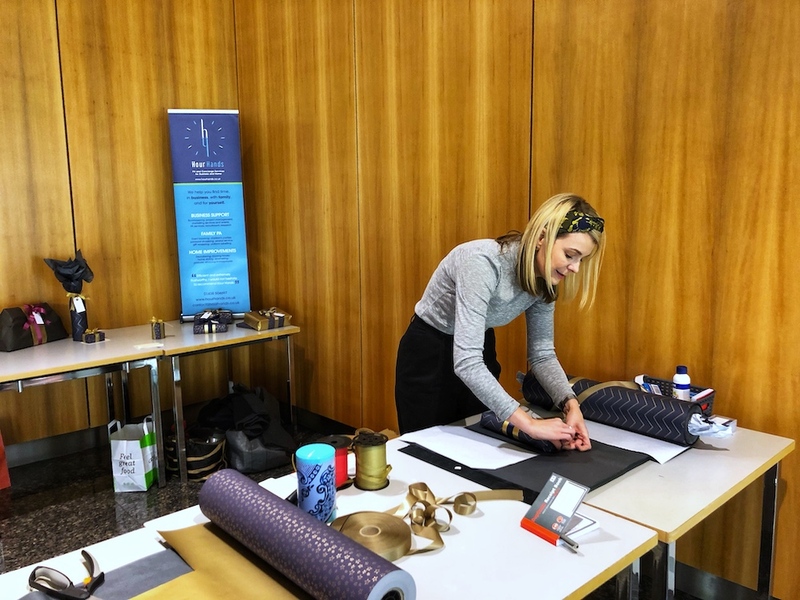 Our wrapping team even spent several very enjoyable days in London wrapping gifts for employees at a large office block. You may be wondering why you should take extra care over wrapping, given that you’ve already spent time and effort choosing the gift itself. 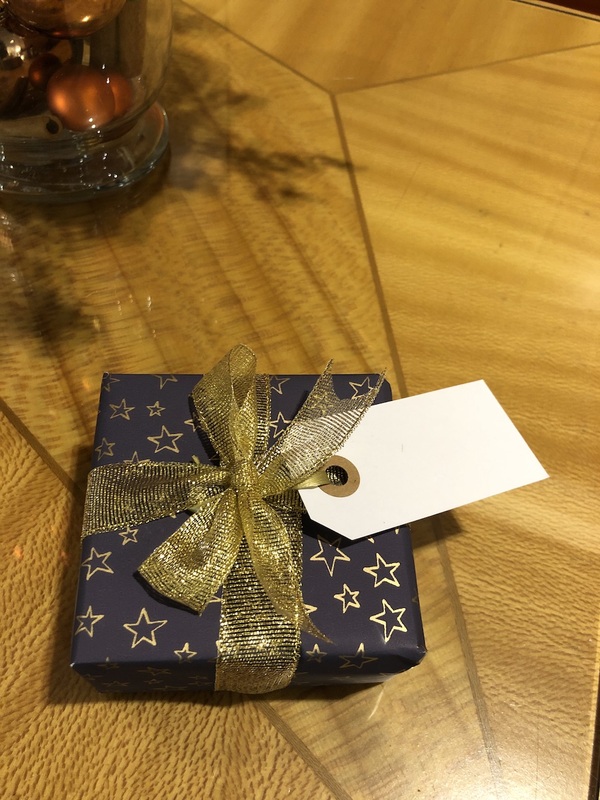 We believe that a carefully wrapped present really does go the extra mile; nothing feels more luxurious than opening a beautifully presented gift. It adds to the suspense and lets your recipient savour the excitement of the gift a little longer! It’s easier to wrap standing up; you will also need a large uncluttered surface that gives you enough space to stand over. A kitchen or dining table is perfect. Start with the right sized piece of paper. Cut the paper too small and you run into obvious issues, but too large can make the wrapping cumbersome. It should come up a little more than halfway on the sides and wrap all the way around, with a 3cm overlap. One of the key steps to perfect wrapping is to cut your paper along a straight line. We’ve found that the easiest way is to fold the paper and cut along that fold. If your wrapping paper has a pattern, you can also follow that as a cutting guide to ensure a straight line. For a really professional look, use double-sided tape for secure, flat edges. Alternatively, clear adhesive dots such as these also offer a neat finish. Match the seams of the paper with the edges of your gift. Create creases at the corner seams to make folding easier. Always coordinate your gift wrap and ribbons to create a high-end look. Tie the ribbon as you would tie your shoelaces. Once you’ve got your bow, you can create a pennant look with scissors — that’s where you have the V-cut at the end of your ribbon. Simply fold the ribbon in half and cut at an angle from the folded side. Now you’ve mastered the basics, but wrapping non-rectangular items can be a challenge! For irregular-shaped gifts, make a rectangular pocket out of wrapping paper that’s large enough to slide your present inside. Seal the final side and add a beautiful bow. Alternatively, for larger unwieldly gifts, place cardboard on either side of the item to create a thin rectangular shape, and then wrap as you would any other rectangle. 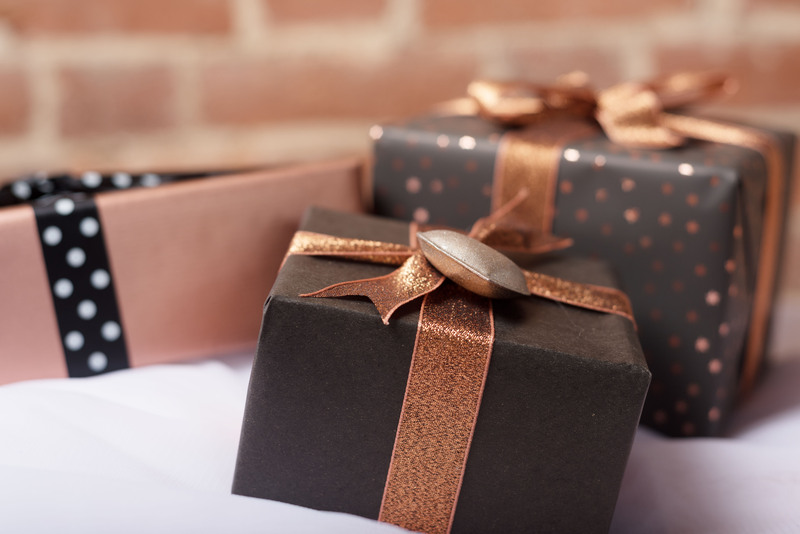 For expert help in wrapping your personal or corporate gifts, contact us to find out more.